After a few days of highly entertaining competition at the 2015 Surf Life Saving NSW Masters Championships, Queenscliff have held on to win the Masters Club Point-Score for the third consecutive year. 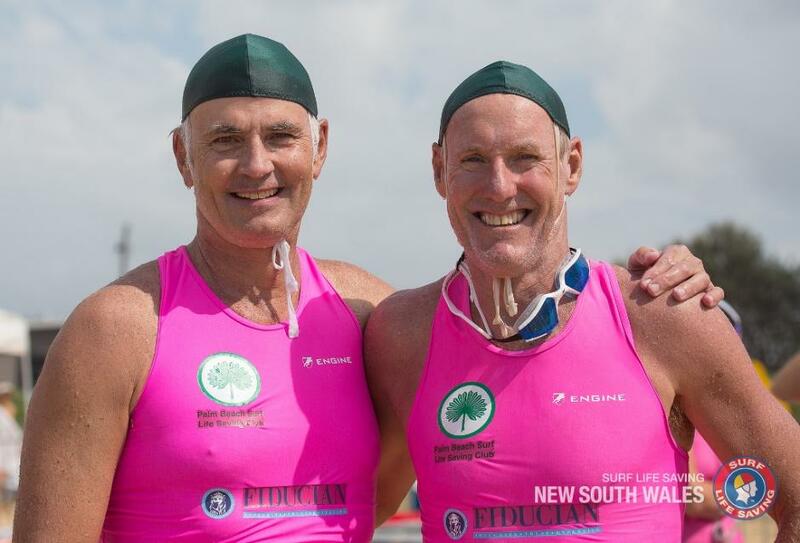 The Sydney Northern Beaches powerhouse club finished just nine points ahead of Bondi Surf Bathers, with North Bondi, Coogee and Avoca Beach rounding out the top five. Boat Events: There were a number of tight finishes on Friday in a highly competitive day of Surf Boat Races to round out the Masters Championships. South Maroubra won the Male 120 Years ahead of Elouera and Terrigal who finished neck and neck in equal second place. Bronte claimed gold in the Female 140 Years Race, but the judges couldn’t split the team from Caves Beach (named 50 Years of Grey) and Fingal Beach who were awarded joint second place. There was another draw in the Male 140 Years after Elouera and Narooma were both awarded the gold medal with North Bondi claiming the bronze. There was a clear winner in the Male 160 Event with Bronte finishing first ahead of Clovelly and North Narrabeen. North Cronulla took out the Male 180 Years Final ahead of Austinmer and Bilgola, while Avalon Beach downed Avoca for the first time in two years to take gold in the Female 180 Years Race with Woolgoolga taking the bronze. Water Events: Terrigal’s Paul Lemmon continued his solid run of form to nab two gold medals in the 45-49 Surf and Board races. Avoca’s David Broadbent kept the pressure on his local rival in both races to finish with a silver and bronze medal. Elsewhere in the water Mona Vale’s Paula Tocquer recorded a win in the 40-44 Female Ski as did Queenscliff’s Robyn Henderson who downed club mate Maree White and Kim Winter (Forster) in the 50-54 event. North Bondi's Scott Thomson dominated his age group in the water, claiming three golds and a silver. Thomson took out the 50-54 Surf Race, Ironman and Board Race and finished second behind Peter Laing from North Entrance in the Single Ski. 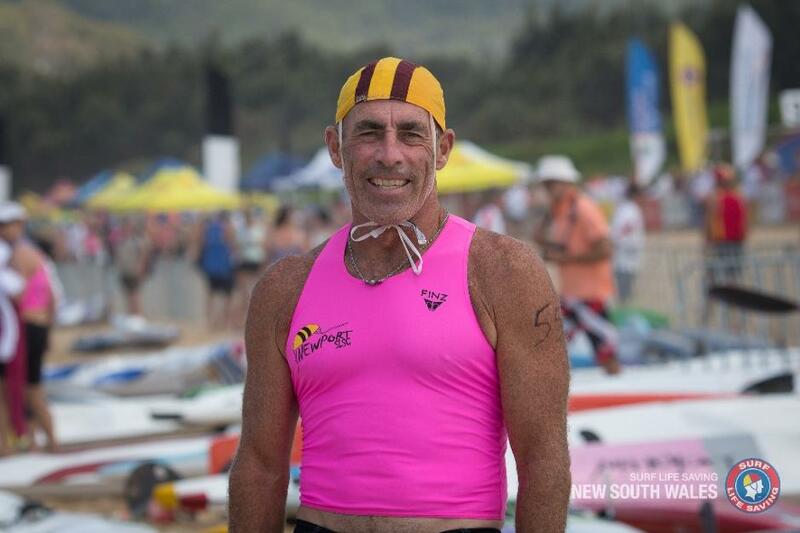 Trevor Gee (Avoca Beach) held off Cronulla’s Tristan Howison and Mollymook’s Tony Ireland to win a tight 35-39 Surf Race, with Manly’s Mel Perry surging to a win in the woman’s race of the same age-group. In the Ironman Fairy Meadow’s Jeff Banks held off Danny White (Queenscliff) and Umina’s Bill Cook to win the 65-69 Event, and Ross Blatchford (Redhead) finished strongest over Terrigal’s Lionel Fargher and Elouera’s Malcolm Boon to claim the 70 Years and over title. Avalon Beach’s Chris McGuckin stormed home to take out the 60-64yr Ironman and also finished second in the Board race. Nowra-Culburra’s Chad Poland also had a highly fruitful championship in the Male 30-34 age group winning gold in the 2km run, Surf and Ironman races. 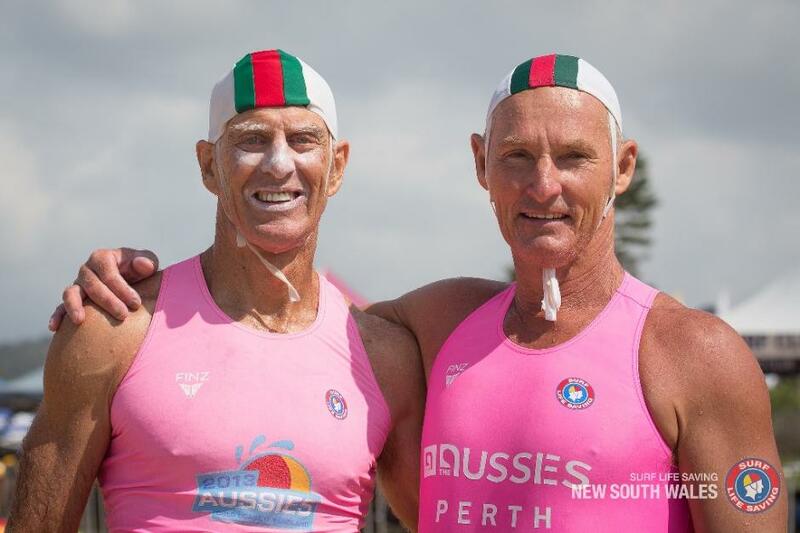 Sprints: One of the most hotly contested Beach Sprint races was the Male 60-64 Race where Newport competitors Ted Smithies and Martin Lynch battled all the way to line to win the gold and silver medals. Michael Gedz (Queenscliff) took out the 45-49 Beach Sprint ahead of club mate Brian Dolly and John McCartney (North Entrance), while Ross Langbein (Collaroy) won the 30-34 Beach Sprint over Stephen Hatch (Newport) and Cronulla’s Anthony Lyon. It was an impressive carnival for Collaroy’s Ross Langbein, who also won the Beach Flags taking out the gold ahead of Michael Waghorn from Caves Beach. Flag Events: The Beach Flag events were highly competitive as the athletes took “no prisoners” approach to the competition as they put their bodies on the line. Marilyn Clarence (Swansea-Belmont) took gold over Helen Porter (Queenscliff) and Collaroy’s Kerry Armstrong in the 60-64 event, while Louise Smallwood (Collaroy) took out the Women’s 65+ Flag event. Team Events: As attention switched to team events for the second day of competition, individual rivalries were cast aside as old club battles came to the fore. It was the Central Coast Show in the Male 45-49 Board Rescue with Terrigal’s Paul Lemmon and James Purcell teaming up to beat Avoca’s David Broadbent and David O’Grady, with Steve Allen and Peter Laing (North Entrance) finishing in third place. Byron Bay’s Jo Kay and Helen Murray took out the highly competitive 45-49 Female Board Rescue ahead of Laura Thurtell and Bonnie Danuser (Forster) and Umina’s Kerry Armstrong-Smith and Vanessa Henderson. 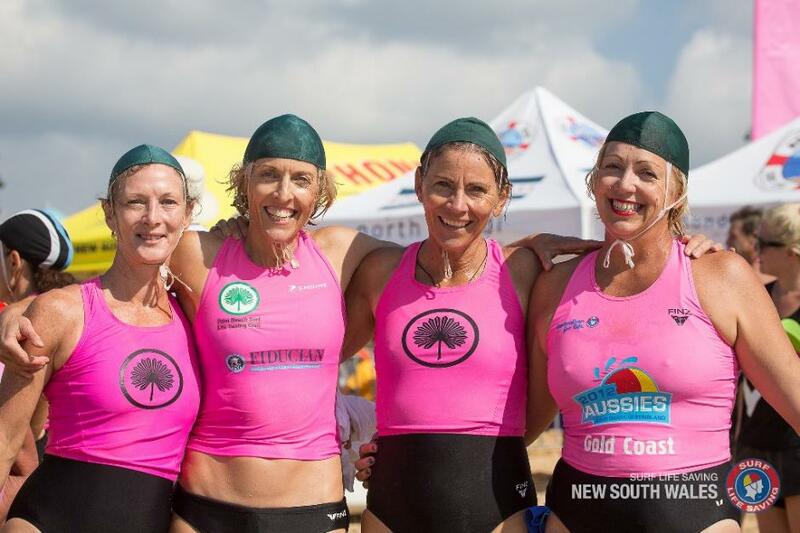 Bondi Surf Bathers dominated the 110 Years Female Events claiming gold and silver in the Surf Teams Race, Board Relay, and Taplin Events as well as gold in the Single Ski Relay. 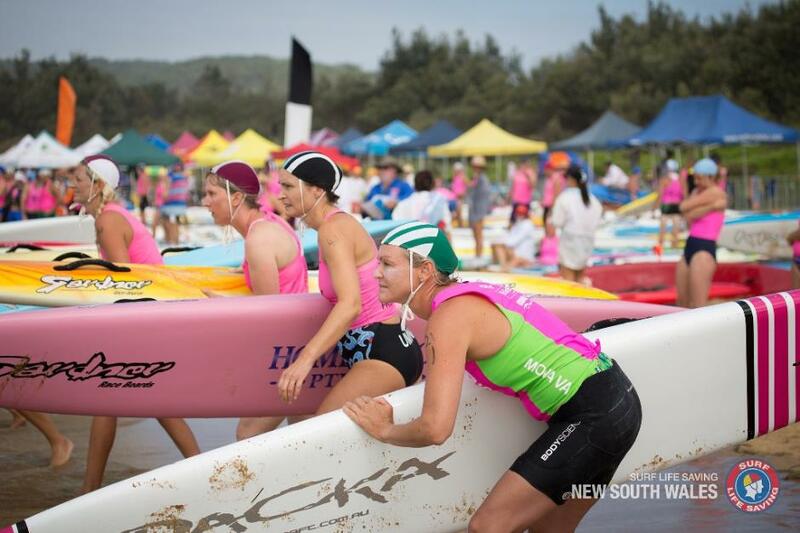 In the 130 years team events Shellharbour downed Queenscliff in the Female Surf Teams Race, while Forster also downed the Sydney Northern Beaches club in a titanic battle in the Taplin Relay. 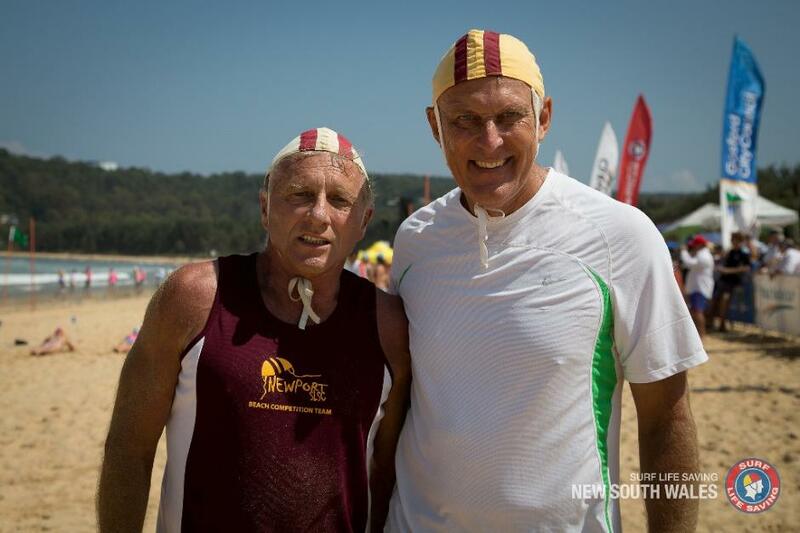 The Wanda team of Scott Allen, Christopher Iredale and Michael Mead Scott defeated Terrigal and Coogee in the men’s 150 Years Taplin Relay, while Caves Beach (Murray Davis, Bryan Searle and Mark Watson) held off the team from Urunga in the Board Relay Race. 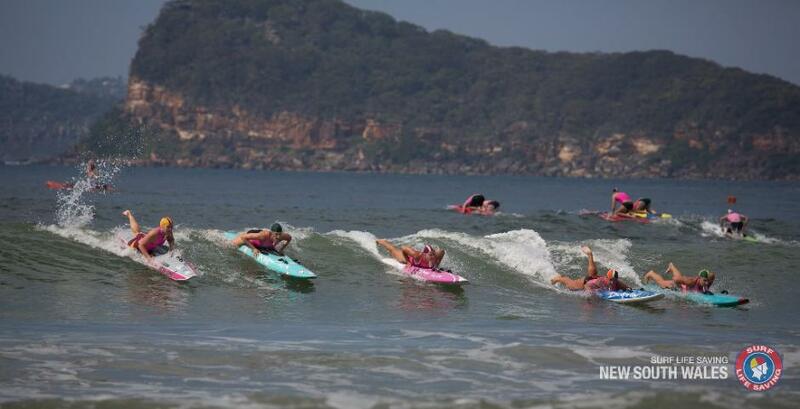 Hosts Umina enjoyed success in the 150 Female Surf Teams as Kerry Armstrong-Smith, Wendy Cook and Fiona Lloyd held off Coogee and Bondi Surf Bathers. Palm Beach had a strong showing in this age category as they won both the Taplin Relay and Single Ski Race. “It’s been a fantastic few days of competition played out in the right spirit, and with the boats still to come I’m sure it’s going to be an exciting finish to determine the champion club,” Surf Life Saving NSW Sports Manager Shane Knight said. 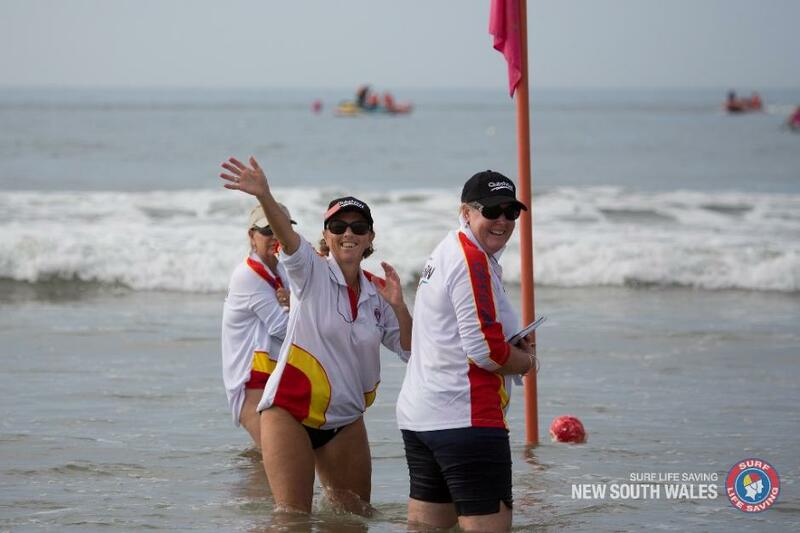 The 2015 Surf Life Saving NSW Championships, proudly supported by ClubsNSW concludes with the Open Titles from Friday 13 March through to Sunday 15 March. Article and Pictures by Surf Life Saving NSW, 2015.